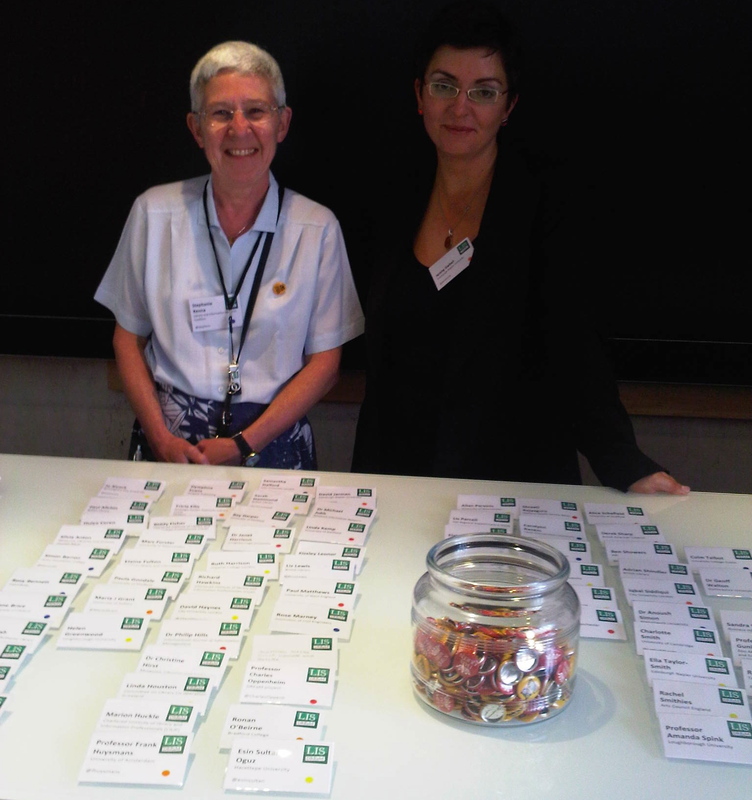 Thanks to everyone for their participation at the DREaM project launch conference last Tuesday 19th July. 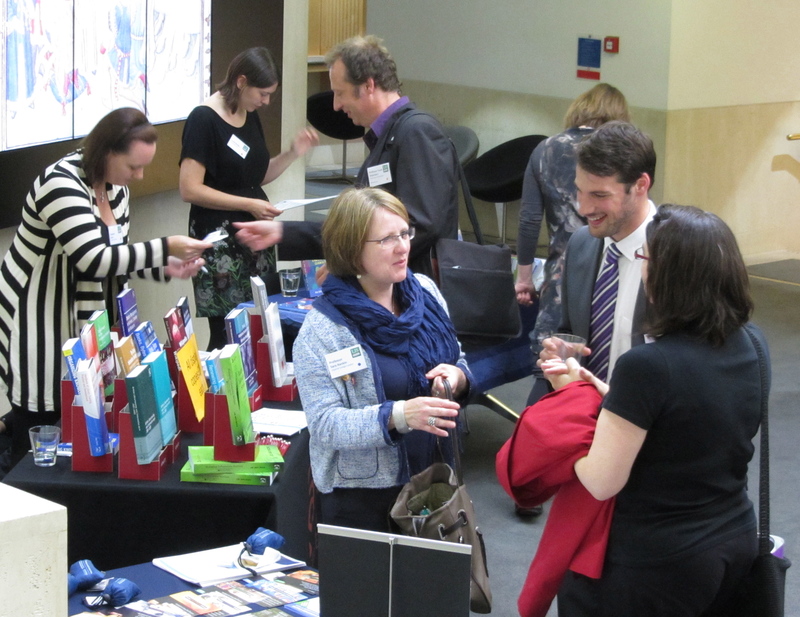 We have now had a chance to analyse the conference evaluation forms and – along with feedback received by e-mail and over Twitter over the past few days, as well as conference reviews blogged by delegates – we are pleased to report that it was a successful day. 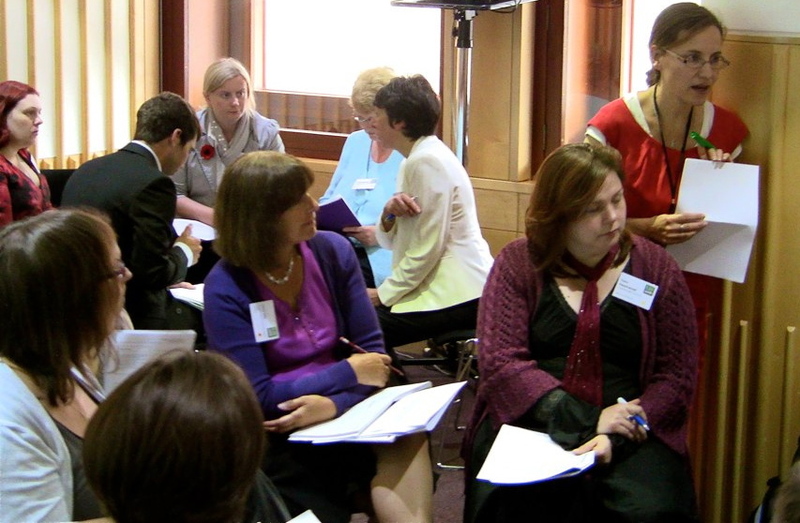 According to the 46 conference evaluation forms returned, amongst the most popular sessions was Hazel Hall’s introduction, rated by the majority of evaluations as “excellent”. Hazel Hall brought delegates up to date on the progress of the DREaM project with news of the forthcoming workshops, including the full programme for workshop 1 on Tuesday 25th October 2011 in Edinburgh. She also announced the Practitioner Research Excellence Award (details can be found on the Media releases page) to be presented by the LIS Research Coalition at the final DREaM project event on Monday 9th July 2012. She encouraged delegates to take a look at the new online community space that has been set up to encourage electronic networking amongst delegates between events. Blaise Cronin’s opening keynote and Dylan Evans’ closing keynote were also were rated by the majority of evaluations as “excellent”. Delegates appreciated Cronin’s main message to look outside the immediate field for opportunities to develop research ideas, to collaborate, research and to influence. They were able to observe such an approach in action in the career trajectory of Evans, who has taken advantage of a number of links and serendipity to build a varied and interesting, if unconventional, career path. It seemed entirely appropriate that, further to a request made to Hazel Hall by a student from outside the field of LIS, at the end of the day that delegates were invited to contribute to a research project on interactivity in research meeting design. (If you would like to contribute to this project, please complete the survey). Most evaluations gave the One Minute Madness session “excellent” and “very good” ratings. Chair of the session Stella Wisdom hardly had an opportunity to blow the horn due to the excellent timing of the presenters. It was quite astonishing how much information was conveyed in the 60 second bursts. The impressed audience members tweeted encouraging and supportive comments on the session, for example: “Loving 1 minute madness. So much brilliant work esp on stories & narratives” (@bikerbid); “One minute madness was great – well done to all who took part” (@BLLizLewis). Check out the 15 minute video of the session to witness the high standard of the presentations. The four breakout sessions were also mostly evaluated as “excellent” or “very good”. Delegate comments on the breakouts revealed how the session content had given them some useful ideas to follow up after the event. For those who attended breakout session 3 these ideas derived from a discussion of work which is well beyond the usual interests of librarians and information scientists. As one delegate tweeted “They are building a palace made of children’s milk teeth. This is not what I thought I would learn about today!” (@samanthahalf). The short time-frame for reporting back on the breakouts meant that there was no real opportunity for discussion in plenary (rated mostly “good”). Although this had been possible amongst groups and with individuals in the breakouts themselves and over tea, from the analysis of the evaluation forms it can be seen that delegates would have liked there to have been more time for discussion of the breakout outcomes. There is also an indication that the opportunity to attend more than one breakout session would have been appreciated by some delegates. The convenience of the British Library Conference Centre (described as “lovely” by one delegate), its facilities and the catering attracted mainly “excellent” ratings, as did conference administration both before and during the event. Hazel Hall, Charles Oppenheim and Jenny Gebel particularly appreciated the positive comments from delegates on the organisation of the event, and would like to highlight here the great help of colleagues in the British Library in the conference preparations. 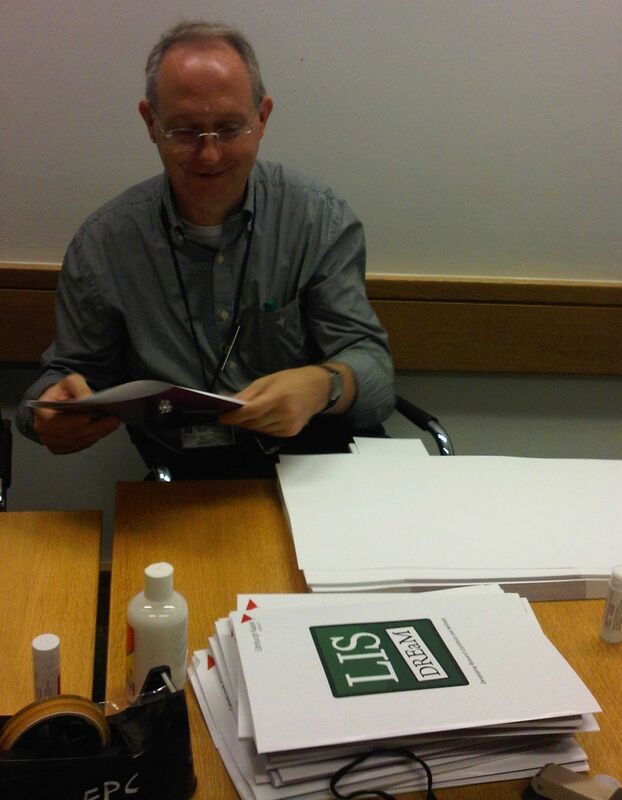 Rossitza Atanassova did a fine job in her liaison role, and recruited a willing team of Paul Allchin, Liz Lewis and Adrian Shindler, who helped Hazel Hall and Jenny Gebel make the delegate packs and load the DREaM USB sticks with all the conference materials on Monday 18th July. Although not specifically asked to comment on networking on the conference evaluation form, this theme attracted a large number of unsolicited positive remarks. One delegate commented that the involvement of delegates before the event was “outstanding”. It is thanks to Bethan Ruddock (@bethanar) that a number of delegates in London on the evening of Monday 18th July were able to meet up before the conference itself the next day. Equally the work of our event amplifier Kirsty Pitkin (@eventamplifier) made it possible for the networking to extend beyond the confines of the British Library. Our remote delegates had access to all the presentations as they were delivered, as well as the CoverItLive session where a commentary on the proceedings and tweets were brought together. Delegates also made favourable comments about the interesting mix of researchers and practitioners who had registered, and the value of new contacts to follow up in the future. 68 people tweeted the #lis_dream1 hashtag over the course of the day. 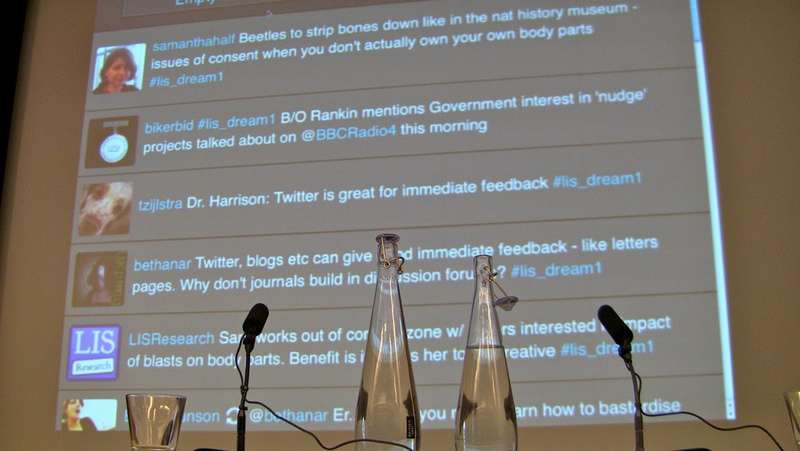 The 615 tweets included contributions from delegates at the British Library and a number of remote participants who offered their views on the conference sessions and the comments of on-site delegates. There is a Twapper Keeper for the #lis_dream1 hashtag where all instances #lis_dream1 are recorded. We have almost finished uploading all the resources from the day to the event 1 presentations page, and these will soon also be added to the DREaM online community site. A further announcement will be made once everything is online. 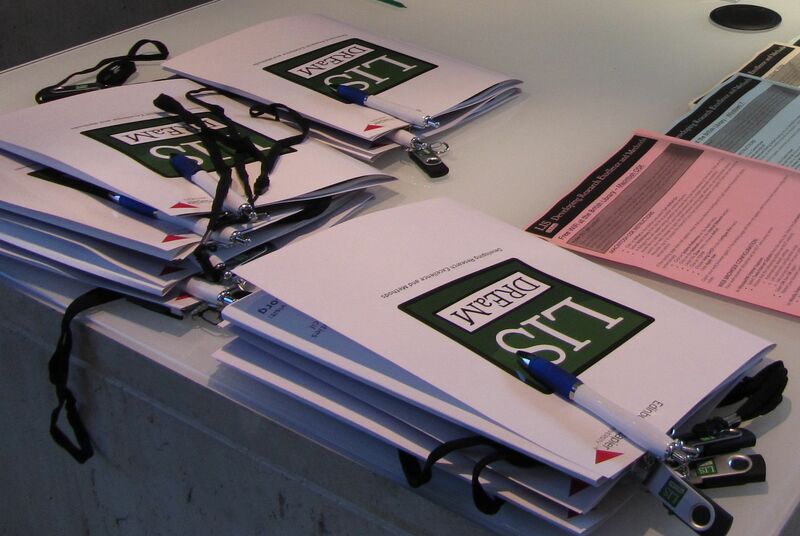 If you are interested in delegate reviews of the event, a number are already available, and some are expected shortly. Please see the DREaM launch conference reviews page to read review blog posts, videos of delegate and session leader perspectives on the day, links to archived social media activity, and photographs from the conference.